The Roland INTEGRA-7 SuperNATURAL Sound Module is the flagship synth module from Roland featuring over 6,000 built-in sounds. The Roland INTEGRA-7 features dual SuperNATURAL synth and drums engines featuring the best sounds and tones from classic Roland products including the Roland V-Drums. 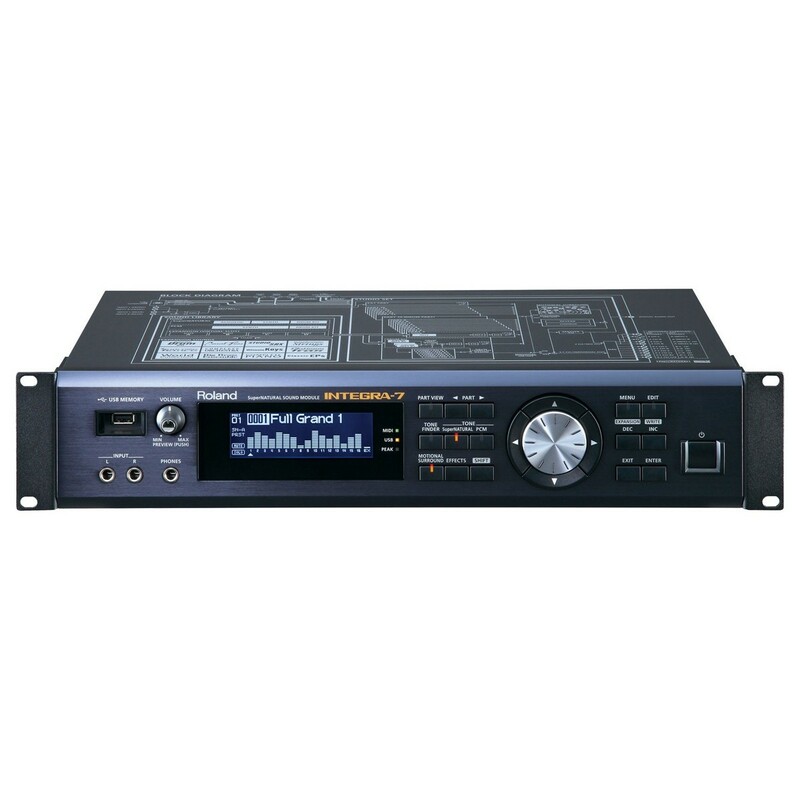 One of the most unique features of the Roland INTEGRA-7 is the Behaviour Modelling technology which produces an accurate reproduction for more natural sounding and expressive instruments. With the INTEGRA-7, there is an astounding amount of accurate emulation you can create, to the point that you could mistake yourself for playing a real acoustic instrument, not only by browsing through all these realistic sounds, but changing the behaviour of it, changing the way it is played as if it were a real instrument. Furthermore when you're playing your keyboard or controller, the INTEGRA-7 organically responds for amazing realism and expression. Grand Piano: Soft and hard keystrokes, natural decay, organic note fading. Electric Piano: '68 Reed, '73 Stage, '78 Pure, '76 Tine, and '81 Tine, all recreated and with the expression and effects you need.! Guitar: Acoustic Steel, nylon, 12-string guitars, flamencos, ukuleles and mandolin. Accurately reproduce strumming and chord fingerings. Several electric guitar models, including a single-coil Stratocaster, along with a choice amp simulators. Even recreate guitar techniques like the "Jazz Octave" phrase. Strings: Portamento, Pizzicato, Staccato and Tremolo techniques are all possible. Use violin, viola, cello and double bass to full advantage! Brass: Recreate dynamic tone colour changes, including saxophone over-blowing and french horn pitch-bend behaviour. Staccato, fall, and growl techniques are at your fingertips. Ethnic Instruments: Shakuhachi from Japan, Erhu from Japan, Sitar from India, Kalimba from Africa, all with their distinctive behavioral techniques. Whether you're looking to experiment with hundreds of PCM waveform or live the eras of the '80s and '90s with vintage synth sounds. It's all possible with the SuperNATURAL Synthesiser. What's all that drumming upstairs? Oh it's only the SuperNATURAL drum engine, derived from Roland V-Drums and responding to Behaviour Modeling Technology. You can customise tonal transitions, velocities and even get real-time control of speed and volume via mod lever for incredibly realistic drum grooves. Delve into the collection of sound effects within the INTEGRA-7, including footsteps, door slams and many more. Imagine being able to create a virtual audience, on the fly, via the control of the mod lever! Deriving from Roland's Roland Sound Space or RSS technology, you can position sounds almost physically around you with special depth features, beyond the normal left and right panning. Imagine being able to replicate a room of instruments, an orchestra for example, and pinpoint their positions on your speakers! Why not then place yourself within the field of sound by incorporating external audio. 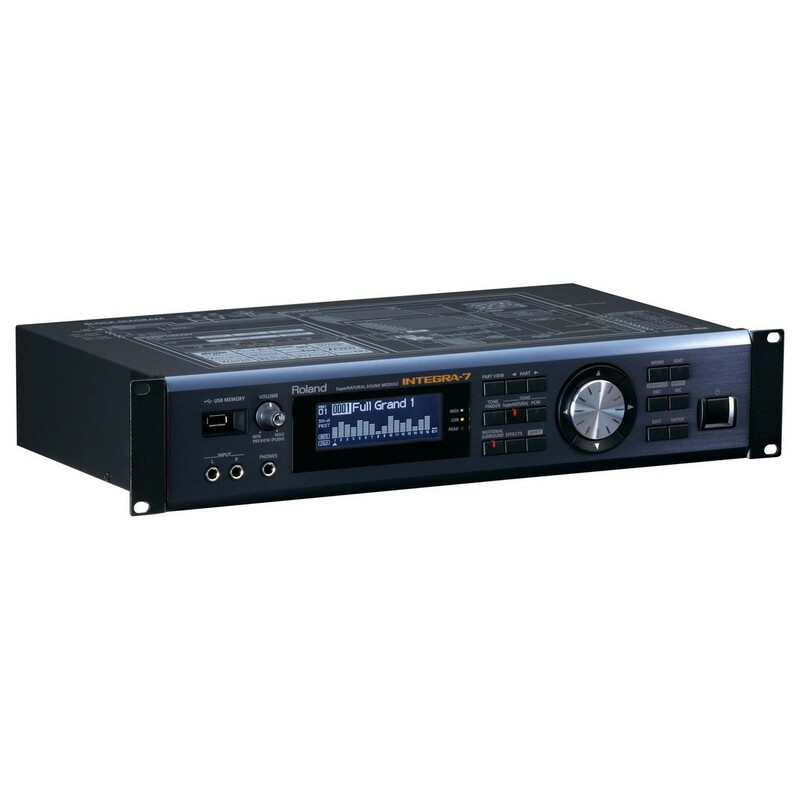 You could plug in an instrument or audio player via INTEGRA-7's input. Then again, it's not just about creating convincing acoustic environments, but also using synths, perhaps to create beautiful soundscapes that feel like they're enveloping all around you! The INTEGRA-7 is encased in a rugged metal chassis and designed for road touring and decades of use. 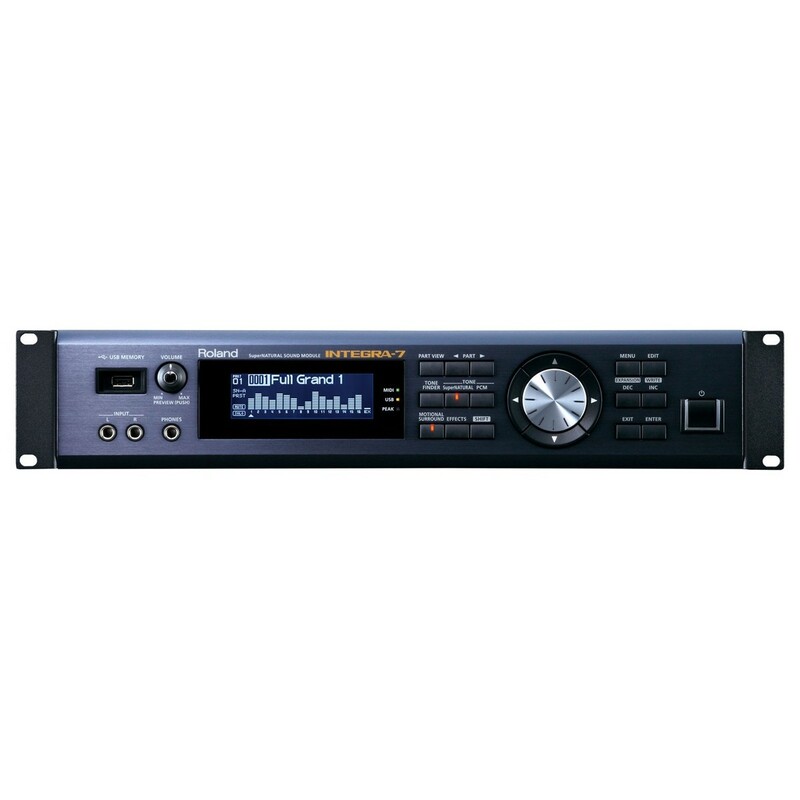 It uses high-quality, low-noise D/A converters, dedicated effects engines ensuring low CPU load and an easy-to-navigate front panel with LCD screen. 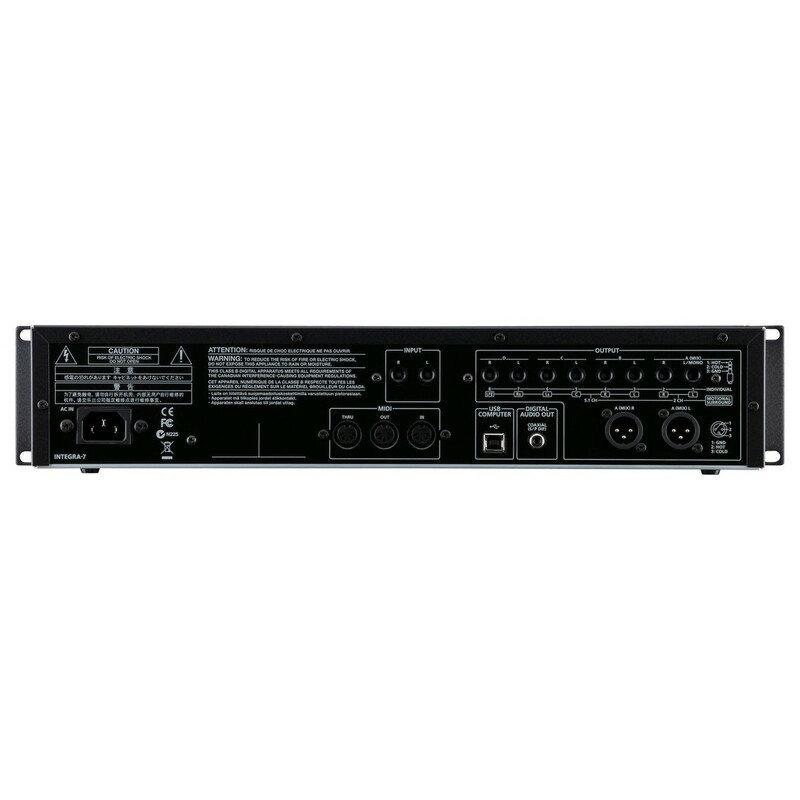 The rear panel has versatile connectors, including stereo XLR outputs, eight 1/4-inch phone outs, a digital output, MIDI in/out/thru, and USB port which can support streaming audio up to 96kHz. There are input jacks on both the rear and front panels for convenience. Use the Tone Finder Wizard to search through the 5,000 onboard sounds by logical categories and then get a preview of them! Use an ultra high-quality GM2 sound set for playing SMF files via external sequencers, take advantage of six additional SuperNATURAL sounds, or plug a USB thumb drive through the USB memory port. If you have an iPad, you can use a custom iPad Editor App to remotely control the synth parameters, part mixer and Motional Surround, and also for selecting sounds and reading/loading the 16-part Studio Sets. Axial is Roland's official tone library where you can download new sounds for your Roland synth that have been specially designed by top programmers. On Axial you'll find a continuously expanding universe of creative inspiration for live performing and music production. From recreations of vintage analog classics to modern, cutting edge tones that are perfect for the latest music styles and beyond. The sound downloads on Axial are grouped by musical genre and concept, making it easy to find the tones that will work best with your music. The site also features demo videos and sound clips, so you can check out the sounds and examples of their uses. With all the amazing features and number of sounds to dig your teeth into, there's so much you can play around with and in different environments, whether than be for professional music production, film scoring, television and radio broadcasts, music schools, museums, art galleries and planetariums! There are so many possibilities! 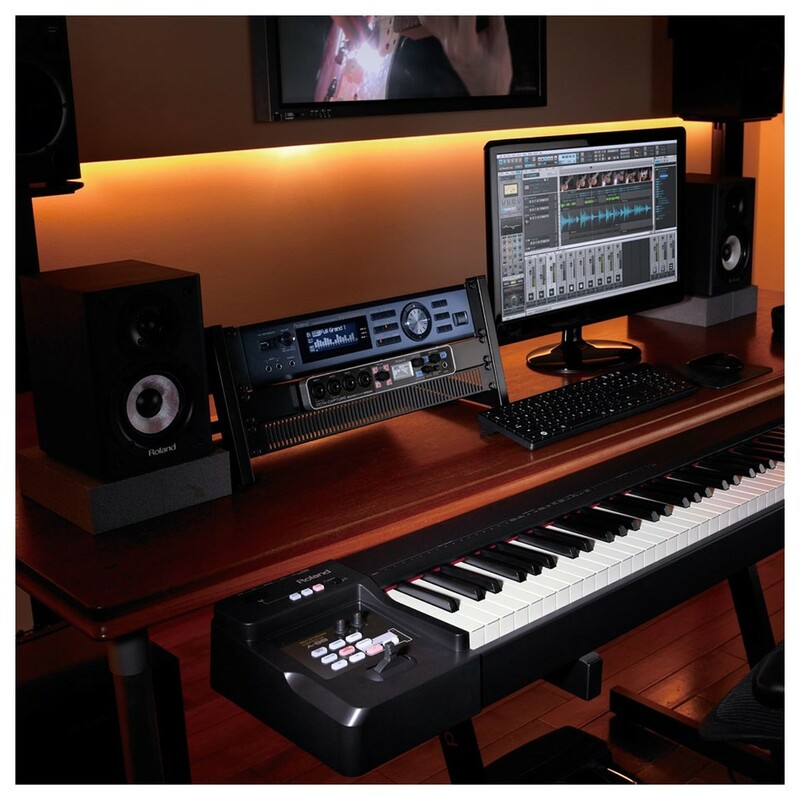 For more official Roland sounds, visit the Axial Sound Library.